Karen Robards is a popular author of romantic suspense mystery series, historical romances, as well as several romance and suspense standalone novels. 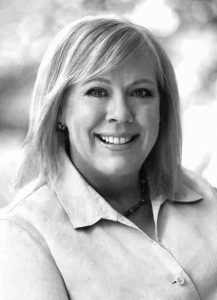 She is well-known for her Dr. Charlotte Stone series and her Jessica Ford series, along with her new series starting in 2017, The Guardian. Here are the Karen Robards books in order for her romantic suspense series and standalone novels. Karen Robards was born in 1954 in Louisville, KY. She wrote her first short story at a very early age, while in her teens. She submitted her two paragraphs story to the Reader’s Digest and it was published in December 1973. During her time as a student at the University of Kentucky where she was a law student, she took a graduate-level creative writing class, for which Karen submitted her first manuscript to the professor who challenged his students to submit 50 pages in any genre they liked. Karen chose historical romances based on the fact that they were selling well at the time. Those first 50 pages became part of Karen Robards’ debut novel, Island Flame, which was published in 1981 when the author was 24. Back then she was in law school, but she dropped out to pursue writing as a career. She only stayed for two years in school (she said in an interview that she hated law school), but since she managed to sell a book during her time at the school, she decided that writing is what she should focus in the long term and what she loves doing anyway. Short term, she did have to pay the bills, so Karen Robards started working at an orthodontic clinic while writing her next novel during her breaks in the bathroom. The second book was finished after 3 months and it was published in 1985 under the title To Love a Man. Over the years Karen Robards has written over 50 books, including two romantic suspense series (romantic thriller series as the author calls them), and numerous standalone novels. She is also the author of a historical romance series and several standalone historical romance novels. Charlotte Stone, “Charlie” is a prolific criminal psychologist helping the FBI catch truly sick people. Once they’re caught, she is probing their minds and tries to find their secrets. Charlie is most suited for this job as she was once the victim and survivor of a serial killer’s evil doings. Ever since then she’s been wanting to learn what makes these people tick and do anything humanly possible to put them all behind bars. The Charlie Stone series includes currently four books, with the latest one published in 2015. It probably will remain 4-books long, since The Last Time I Saw Her closes the story arc where we learn about the fate of Charlie’s ghostly lover, Michael Garland, who was a convicted serial killer and is now facing oblivion in the beyond. Jessica Ford, the main protagonist of the author’s other series is a young criminal attorney in Washington, DC, who has witnessed the First Lady’s murder and was subsequently put in the witness protection program. She changed her name but went back to practicing law. Karen Robards’ latest series called The Guardian starts with The Ultimatum, a book published in 2017. The second book in the new Karen Robards series is published in 2018 with the title The Moscow Deception. The series focuses on Bianca St. Ives, who is something of a female Robin Hood. She is a thief and a manipulator. She is called The Guardian. Her childhood was not conventional. Instead of playing with dolls like other girls her age were doing, she was training hard in martial arts and other fighting and spying skills. Now Bianca is an adult and has teamed up with her dad into creating an organization that cons con artists and recover stolen artifacts from them. When the last op goes wrong and her father dies as well, she retreats in her shell and begins to live something resembling a normal life. But nobody believes that he actually died, including people from the government, so they keep pestering her for her father’s whereabouts. Enter also a mysterious agent who starts to get close to her. She feels that he is different, but can they have a future together? And what about her father? Is Bianca’s dad dead or alive? Book #2, The Moscow Deception should clear all these questions. And then book #3, The Fifth Doctrine, a whole new life begins for her. But what will be her role to play? The Karen Robards books are fast-paced romances and suspense stories that leave you at the edge of your seat more often than not. There is enough mystery and intrigue to keep you entertained throughout the entire book. Initially, when she started writing, the author wrote on average two books a year. These days she slowed down and now Karen Robard is writing a book a year, mostly in the romantic suspense genre. Currently, Karen Robards lives in Louisville with her husband, Doug, and three kids (and a cute cat) where she works on her latest novel, usually from 8 am to 2 pm each day. 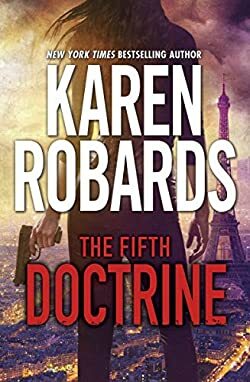 Reading the Karen Robards books in order is important for her series, but not so much for her numerous standalone novels, which are all self-contained.